This is a passport sized plain notebook refill. This is the one that is set inside the passport sized TRAVELER’S notebook. It’s a plain white paper, so please feel free to draw, write, paste, and paint whatever that comes up in your mind. 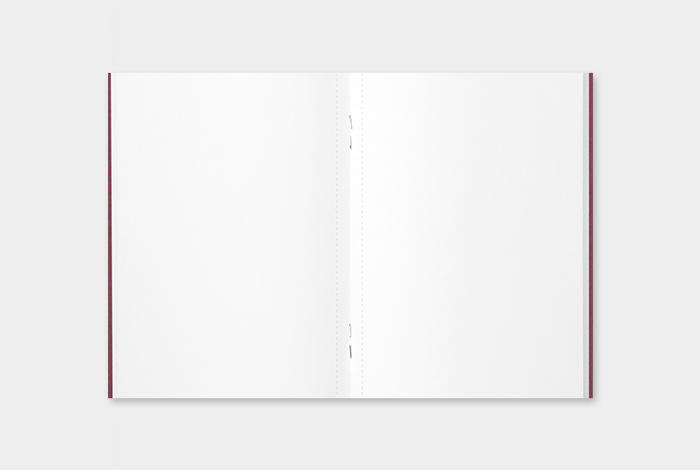 The DP paper is used for this refill, and there are perforation lines applied to all pages as well. 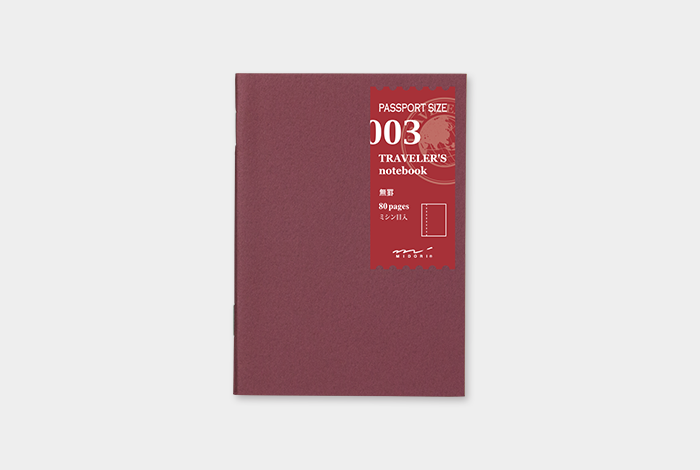 *Starting from March 2016, the Passport Size Blank Notebook will change its specification. The paper will be changed to MD Paper, and the number of pages will be changed to 64 pages without any perforation line.